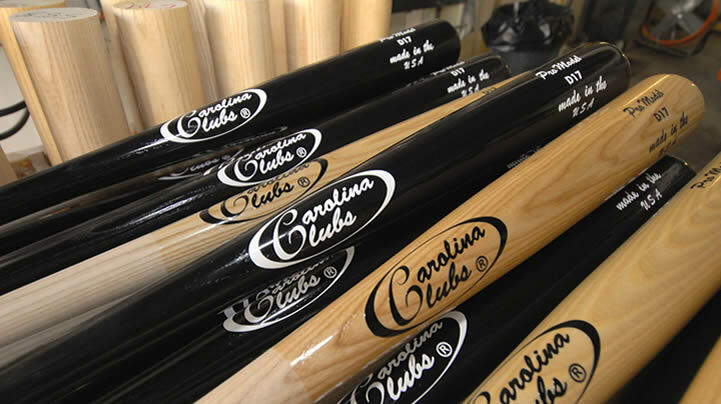 The traditional baseball bat, and the only baseball bat allowed in professional baseball leagues, is made out of wood. In baseball’s infancy there were no bat manufacturers so the players made their own hitting sticks. There was all sorts of experimentation with different types of wood and different bat shapes — some of the early baseball bats weren’t even round — but by the end of the 1850s there seemed to be a consensus that wagon tongue wood was the best kind of material to make a bat with. 1884 was a huge year in the evolution of wood bats. 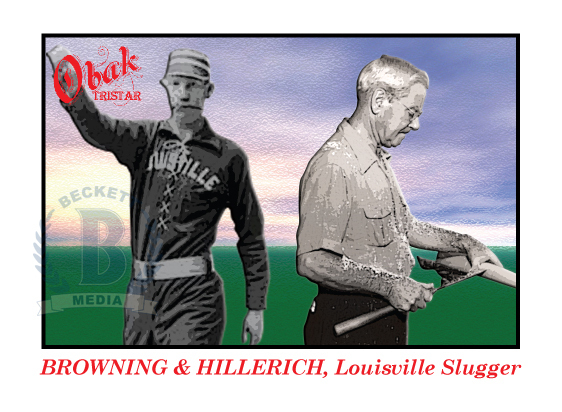 That is when a woodworker named John Hillerich approached Pete Browning, star of the Louisville Eclipse, after a game. Hillerich had noticed Browning had grown frustrated after breaking his bat. So he offered to make Browning a bat to his specifications that wouldn’t be as likely to break because it would be made from White Ash. But it certainly isn’t the only material. Here is a rundown of the four major material used for making wood bats. Ash remains the default material for all wood bats. Ash in known for having a great strength to weight ratio. Although its not the densest wood it creates a very solid sweet spot and, upon contact, the classic wood bat sound. The trees used to harvest the ash come from Pennsylvania and New York, as this Northern Ash is a bit more dense than the Southern Ash John Hillerich first used. The quality of ash the big leaguers have in their bats (called Major League grade) is rare, and most Ash bats made for commercial purchase are of something called Pro stock, which is a step below. A good Pro Stock ash bat should cost in the neighborhood of $40 to $50. If the bat is much cheaper than that it’s a good indication that the bat is of an even lower grade wood, and shouldn’t be purchased unless money is really tight. The first major league player to use a maple bat was Toronto Blue Jay Outfielder Joe Carter in 1997. The material become all the rage in 2001 when Barry Bonds hit 73 home runs using one. Mike Trout, Prince Fielder, Chase Utley Dustin Pedroia and Josh Hamilton are among the now over 50 percent of big leaguers who use the maple bats. Many believe that maple bats are harder than wood bats, which makes them strike the ball with more force. However the science on that is inconclusive. What is clear is that maple bats break more than ash bats on the major league level. (They actually might be less likely to break on the amateur level, when the ball isn’t thrown as hard.) And when maple bats do break they shatter into more pieces, creating more chances for injured fielders and base runners. These days, just about every major bat manufacturer has a maple model. They should run about $20 more than a comparable ash bat. Back in Babe Ruth’s day, all the big leaguers were using hickory bats. Ruth’s model weighed 47 ounces and that’s exactly why the bat fall of out favor: hickory wood is just too heavy. However with these days there are methods which can dry out a piece of hickory wood, rendering it lighter, while still keeping most of the wood’s legendary strength. Some predict these new air-kiln dried hickory bats will be the next big thing with Major League hitters. True hickory bats are rare and are likely to cost around $150. Birch bats are harder than ash and more flexible than maple. They also don’t pose as much as shatter risks as maple bats do. The downside to birch bats is they are hard to produce, because most birch don’t grow in a way that is conducive for making a one piece bat. Thus they tend to be expensive. Russell Martin and Evan Longoria are examples of big leaguers who use birch bat. A good birch bat should run about $100. While bamboo is a lightweight and sturdy wood that is almost perfect for making a bat out of, there are no current major leaguer’s swinging a bamboo stick. That is because bamboo bats are produced by compressing bamboo stalks together and MLB rules forbid any bat that isn’t made from “one solid piece of wood.” There are, however, many BBCOR approved (meaning they can be used in high school and college and most amateur wood bat leagues) Bamboo bats out there for purchase. You should be able to get a good bamboo bat in about the $60 range.